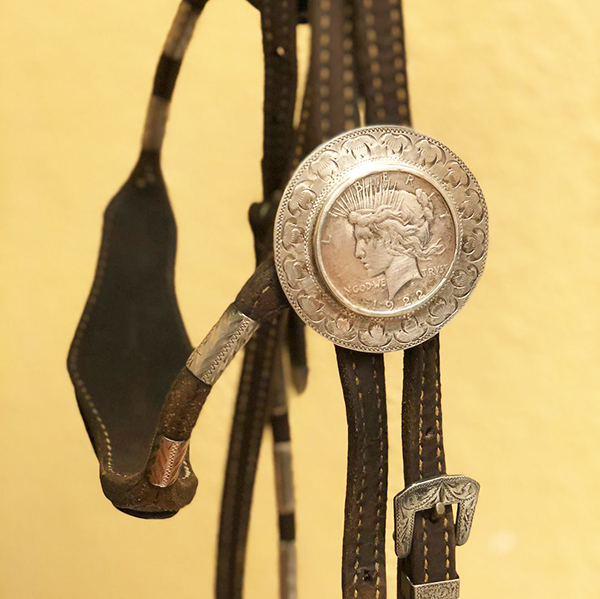 Debbie’s headstall she won at the 1976 Silver Dollar Circuit. 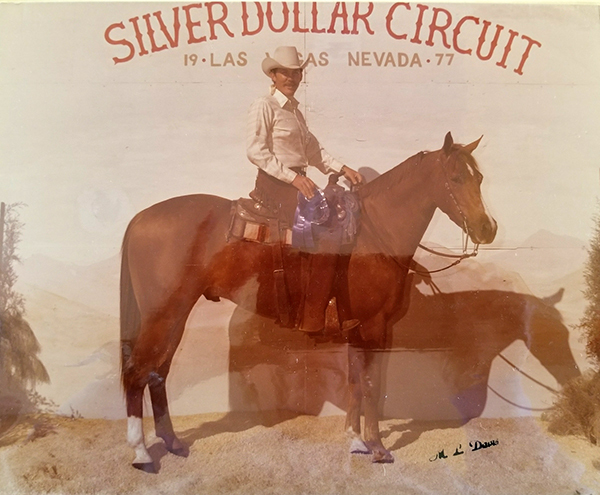 Since the 2018 Silver Dollar Circuit kicks off this weekend this Las Vegas, we thought it would be fun to take a little walk down memory lane all the way back to the very first Silver Dollar Circuit in 1976. 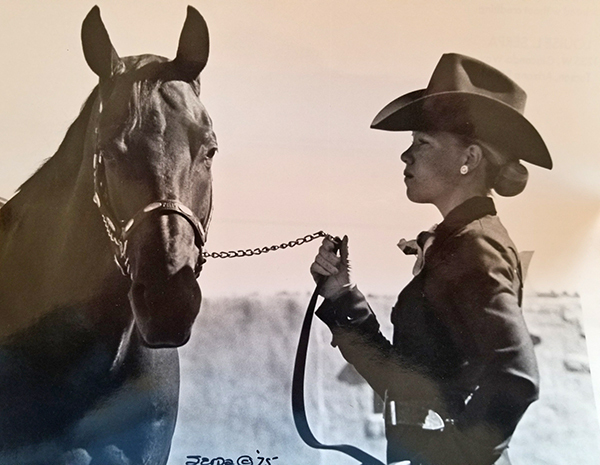 Back then, the Silver Dollar wasn’t held in the top of the line South Point Equestrian Center like it is today. 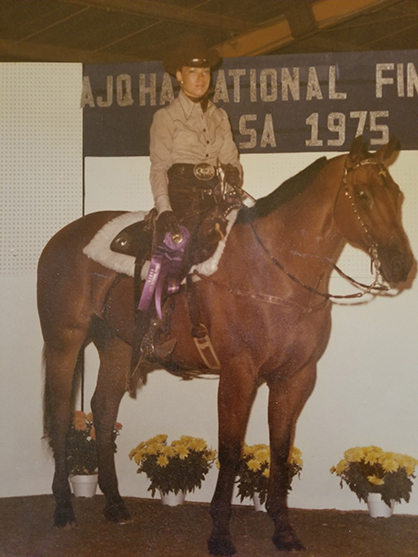 It took place at the Clark County Horsemen’s Park, that still hosts equine events to this day. 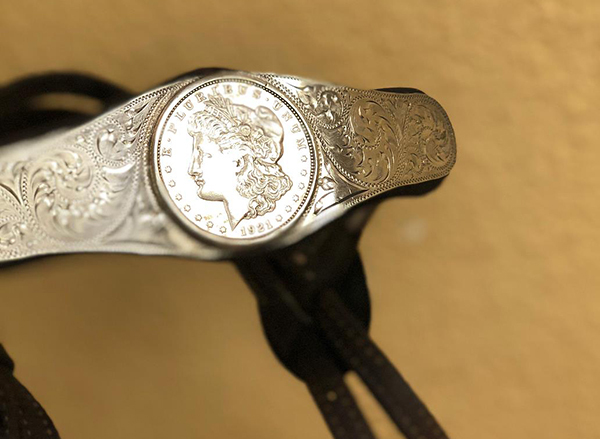 The antique silver dollars in this headstall date back to 1921. Cal Cooper on Chicaro Parker- High Point Junior Horse at the 1977 Silver Dollar Circuit. For more information about the Silver Dollar Circuit, visit www.SilverDollarCircuit.com. Click here to view the live stream from the show. Stay tuned to EquineChronicle.com for fun photos and results coming from the show.